2274 Carina Court Cheyenne WY New Listing! 2274 Carina Court in Cheyenne WY is new to the market! 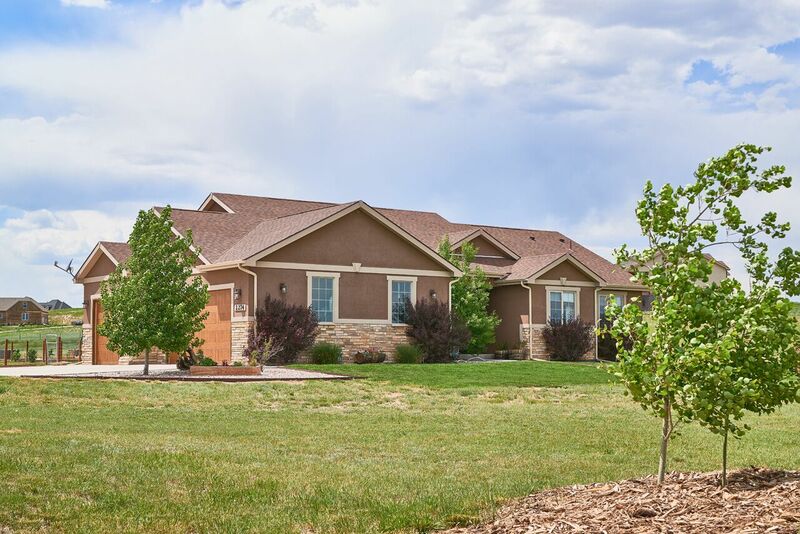 Offered by Cheyenne WY realtor, Steve Prescott you’ll love this beautiful rural property! Remember the book series Little House on the Prairie? Well consider this the BIG house on the prairie! You’ll love the finishing details in this home for sale. It was custom built in 2014 in the Bear Paw development in North Cheyenne by Innovative Homes. The kitchen is lovely from the granite counter tops with island, breakfast bar for additional seating and spacious pantry. Rich wood, tile, rock, stacked stone and granite accents can be found throughout the home. Three bedrooms and two bathrooms for your family to enjoy. The basement is unfinished (partially framed for fourth bedroom) with plenty of opportunity for additional bedrooms, bathrooms, great room, home office or theater room. You’ll have plenty of room in your three car garage. Central air conditioning is a great feature for the warm summer nights here in Cheyenne Wyoming. The exterior has gorgeous landscaping with nice trees, grass and a sprinkler system. Your kids will love playing outside while you entertain on the back patio. There’s a nice partially-enclosed pole barn with electricity for your toy storage. 2274 Carina Court has all the benefits of living in the country yet close enough to town that you don’t add too much to your commute for work or taking family members to activities. 7.78 acres and horses are allowed! Connect with Steve Prescott today to schedule your personal showing at 307-630-9342 or online. Put his 23 years of residential home sale knowledge to work for you. If you are moving to Cheyenne let us be a resource for you. Hi to all, the contents present at this website are genuinely remarkable for people knowledge, well, keep up the good work fellows.